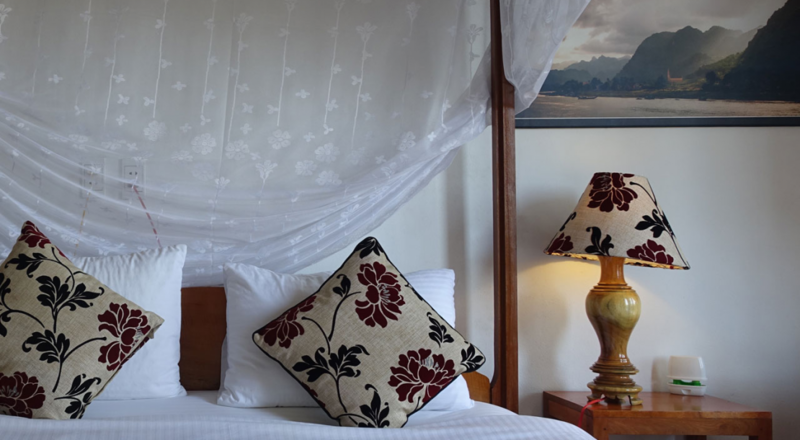 Special offer - 35% off our room rates Through 1st May til 30th June! 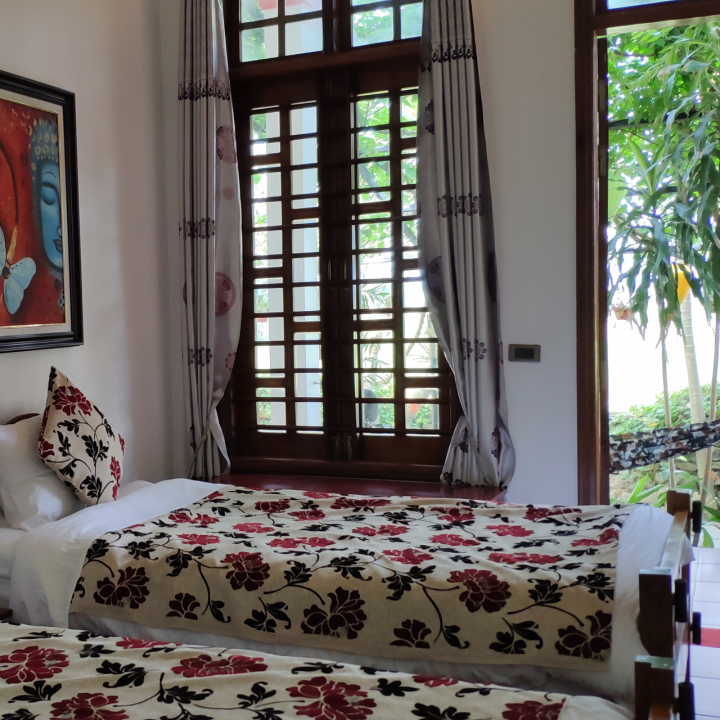 With a touch of French Colonial style, this Boutique and Unique accommodation opened in 2010, was the 1st of it’s kind, certainly in Phong Nha, but also Vietnam. 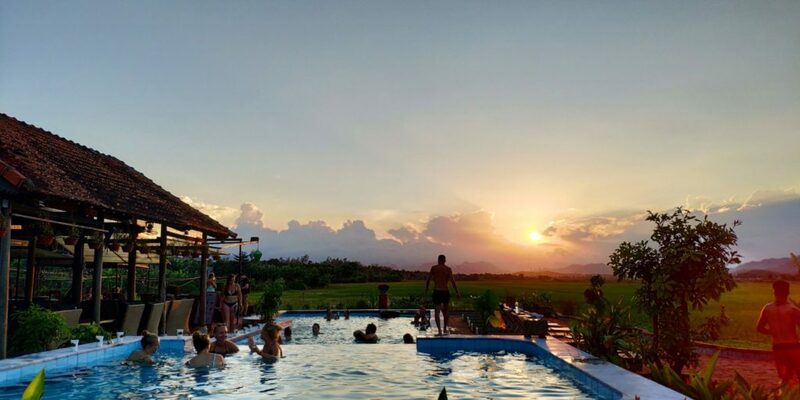 Set in idyllic surroundings of rice paddy fields, tended daily by the local community, on the edge of Phong Nha–Ke Bang National Park, just off the Ho Chi Minh Trail. 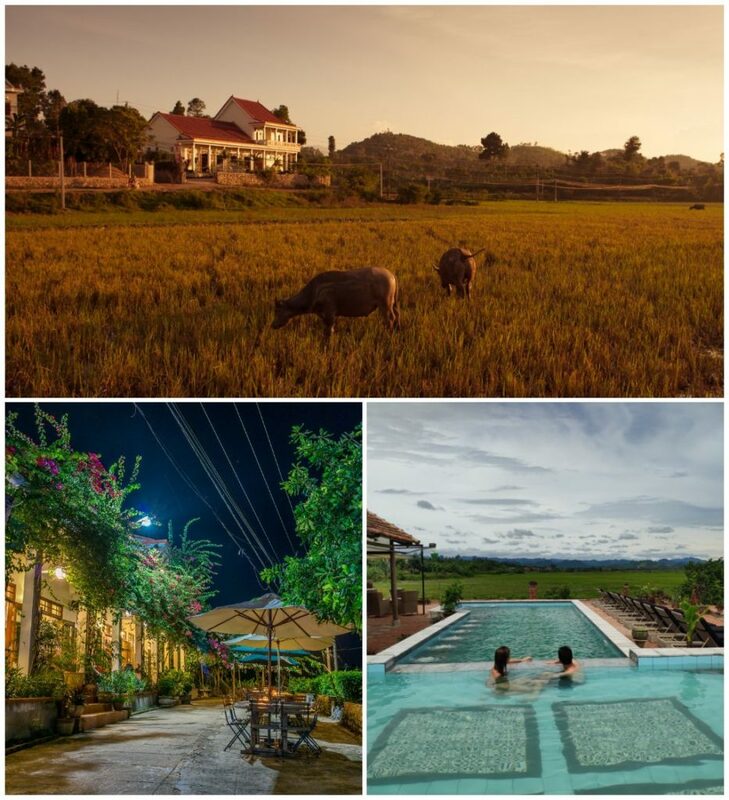 Immerse yourself in the magic of remote rural Vietnam, between the coast and the mountains. This region of northern Central Vietnam is newly discovered by tourism, mainly due to the discovery of spectacular caves in the area. Take yourself on a trip into a photographer’s paradise and what is fast becoming, the adventure capital of the country. 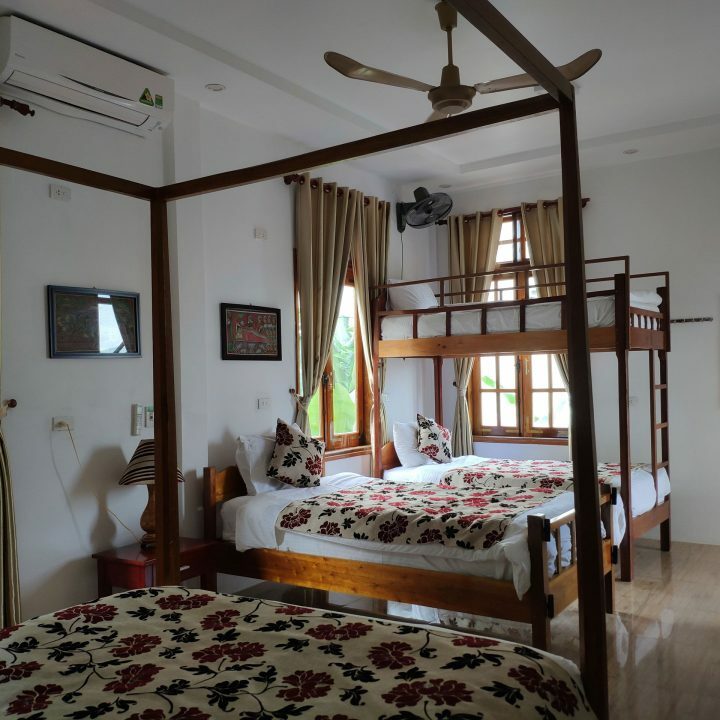 Located on the ground floor of our property, our cosy double bedroom can either face the surrounding rice fields or be poolside and has a shared front veranda. Phong Nha-Ke Bang National Park is one of the most spectacular wilderness sites in South East Asia and one of the 2 largest limestone regions in the world. Destined to become one of Vietnam’s major tourist attractions, a vast network of underground caves and passages can be found, along with awesome jungle scenery and fascinating rock formations. 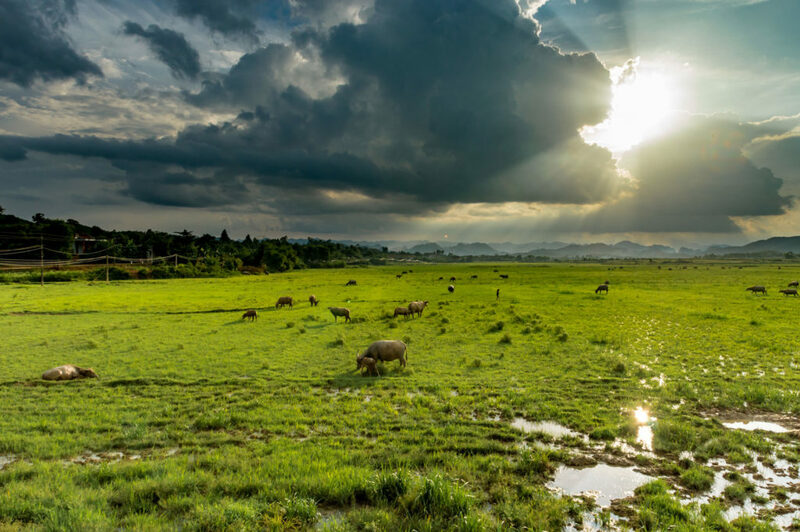 Besides trekking in one of the most adventurous region of South East Asia, Phong Nha also has so much more to offer than trekking and caving... 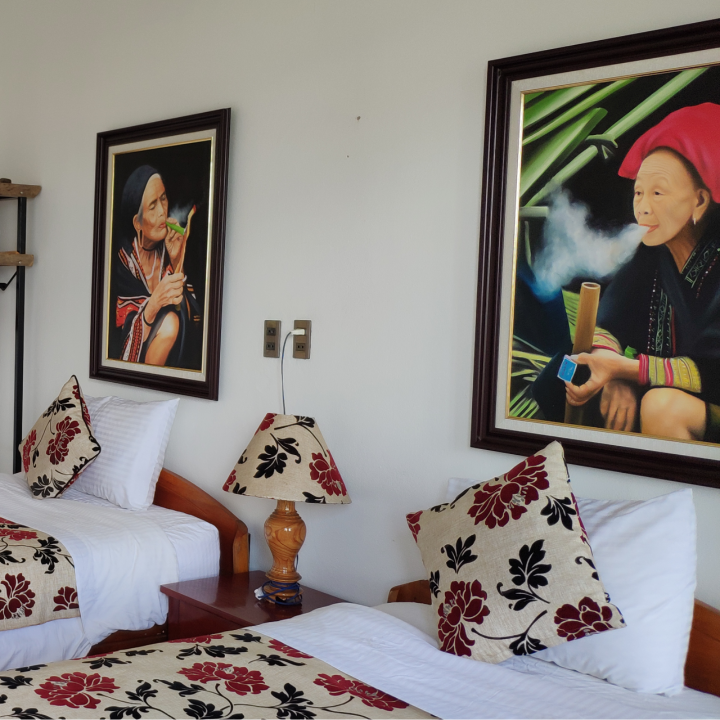 It is possibly your best opportunity to embrace untouched rural Vietnam by bicycle, interact with local animals, learn more about local farming techniques, spend a day out on the river by kayak or boat to explore more of this superb rural environment. Soothing the body and soul, one touch at a time. 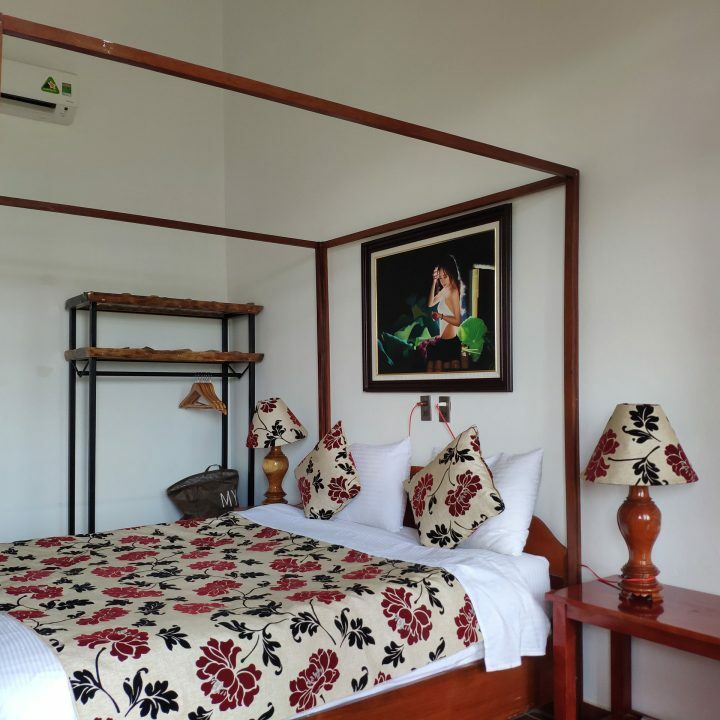 Miss Bich is here at the Farmstay to soothe away all your travelling and trekking related aches and pains. With a various range of techniques, you can easily pick from the massage menu the area of your body you want to target, soothe and relax. She also offers nail painting & art along waxing services, so please feel free to book by email or directly at reception desk. Phong Nha-Ke Bang National Park is one of the most spectacular wilderness sites in South East Asia and one of the largest limestone regions in the world. Destined to become one of Vietnam’s major tourist attractions, a vast network of underground caves and passages can be found, along with awesome jungle scenery and fascinating rock formations.